Tesla Gold Series Portable comes in a full alloy case featuring a rechargable battery. This can be recharged using the USB cable provided, at any computer or USB adapter charger. The Portable is not water resistant and needs to be in your pocket or purse and used between protected zones not as a stand alone protection device. Tesla Gold Series Portable is great for people who travel a lot in electric trains or who drive electric vehicles. For protecting a large area the Tesla Gold Series Plug-in model or the Tesla Gold Series Cube model would be better. 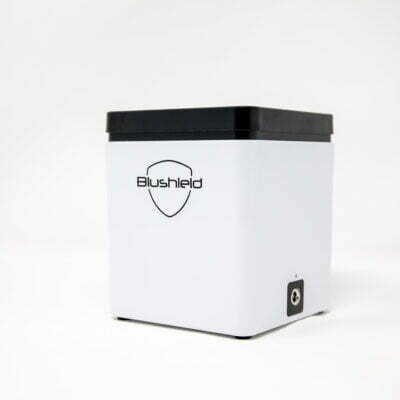 blushield portable worksI use the portable every night to neutralize emf's and take it when traveling. When I go out shopping I drop it into my purse to block out bombardment of wifi radiation.